There’s no time like the present to get started on your Christmas shopping! 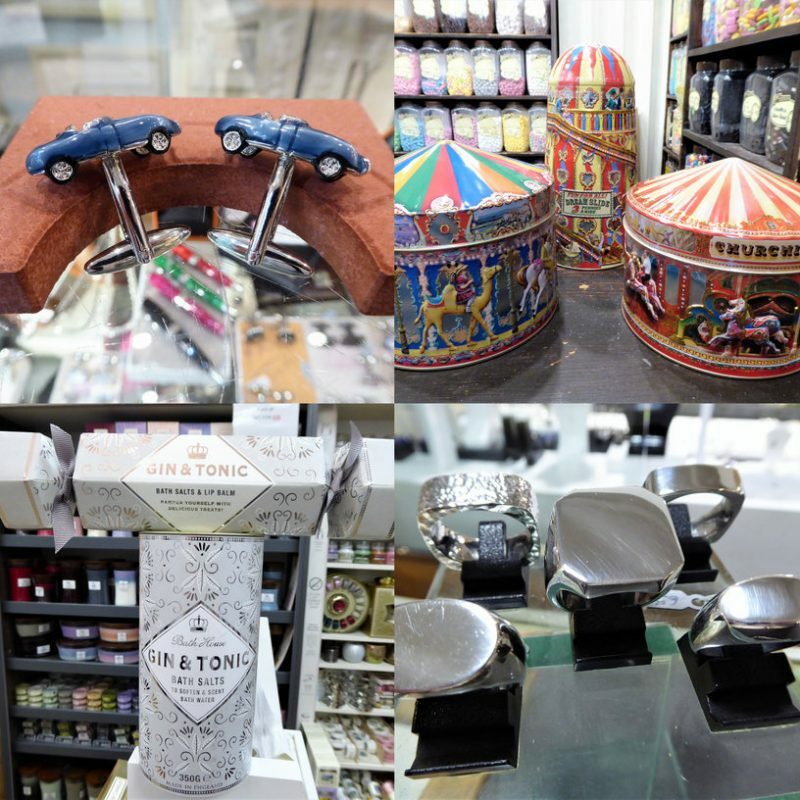 With over 100 independents in Birmingham city centre, there’s plenty of thoughtful and unique gifts that your family are sure to love. We’ve picked out some gift ideas for him and her to help you tick off that all-important Christmas shopping list. 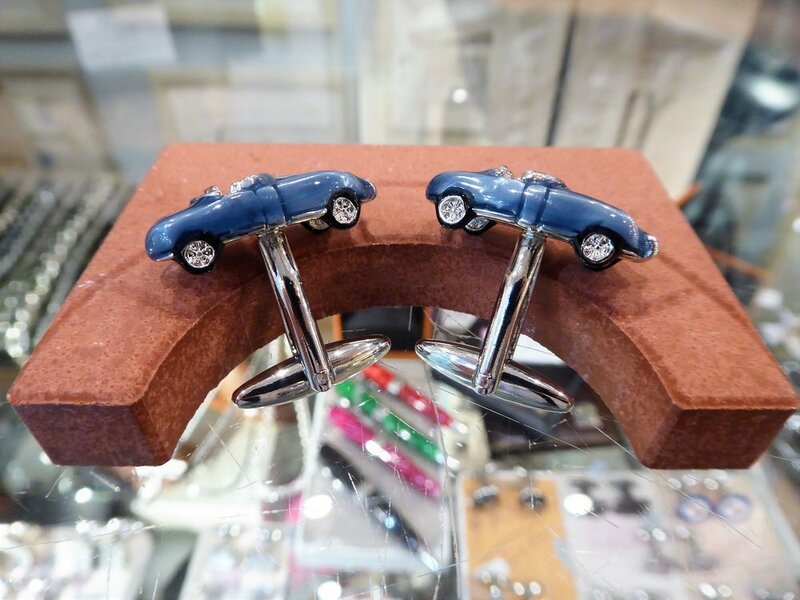 Gift the car fanatic in your life these novelty car cuff links (£23.95) so they can showcase their passion on their sleeves. 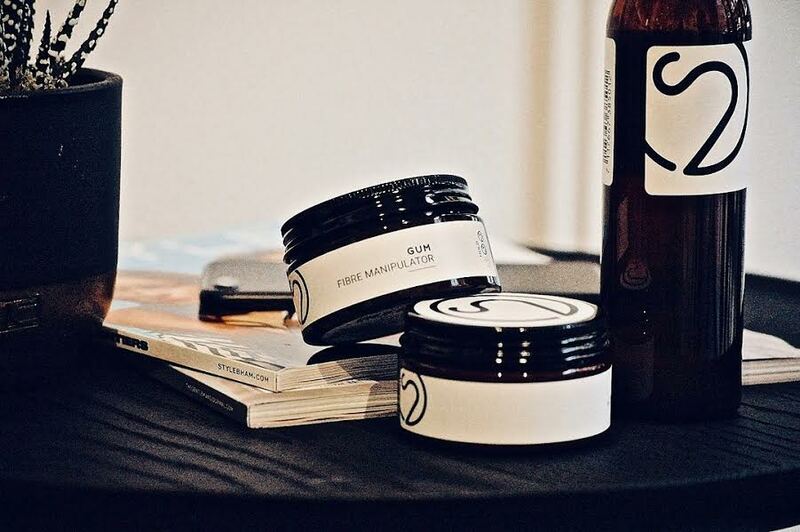 Shop these at Smithsonia in Piccadilly Arcade. 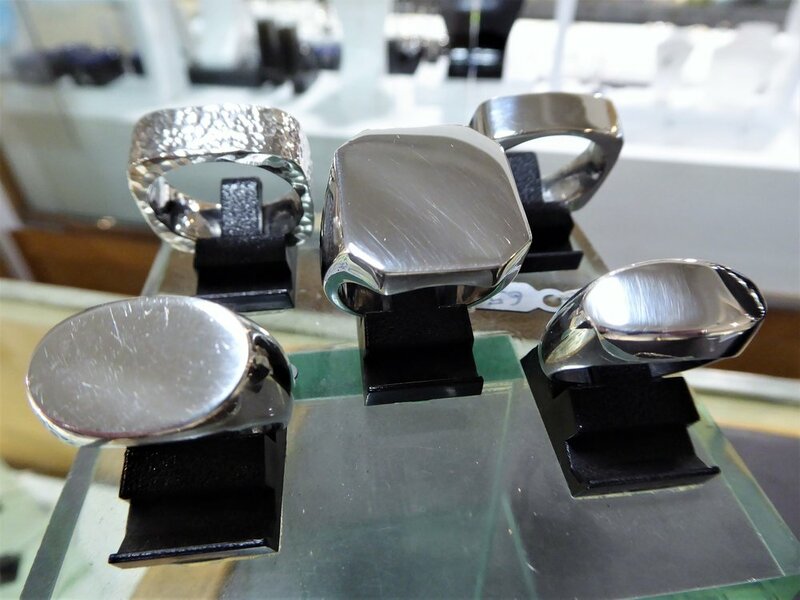 Treat your significant other to a statement ring handmade right here in Birmingham. Offering a selection of sterling silver rings for men, simply pick your favourite style and have it made to the perfect fit within a couple of weeks. Find these in The Onyx Workshop Jewellers in Piccadilly Arcade. If you know someone who is the ultimate movie buff then they are sure to love these adapted film posters from Vincent Van Doodle. 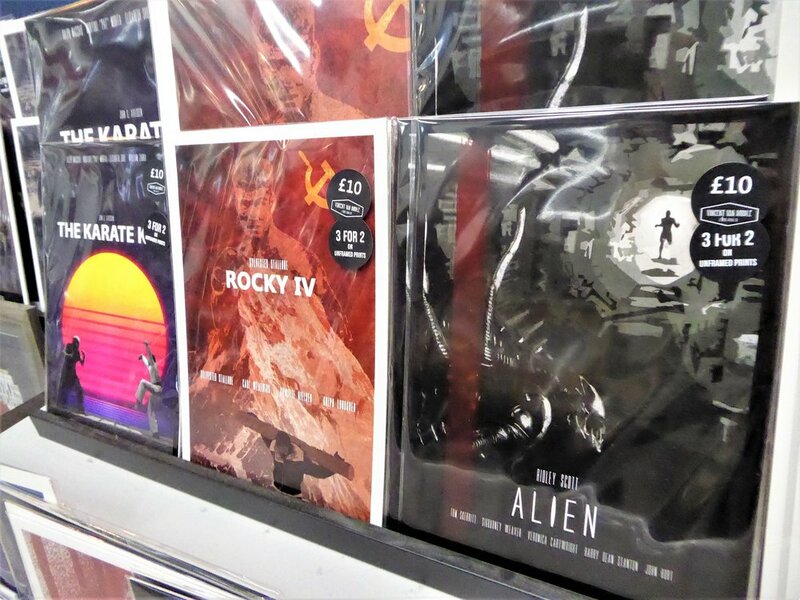 They have all sorts of classics from Alien and Rocky to Forrest Gump and The Shining. Choose their favourite in store at Link Street, Bullring. All unframed A4 prints are currently on 3 for 2. Larger sizes are also available. Nothing says thoughtful than a personalised hamper of their favourite food and drink. 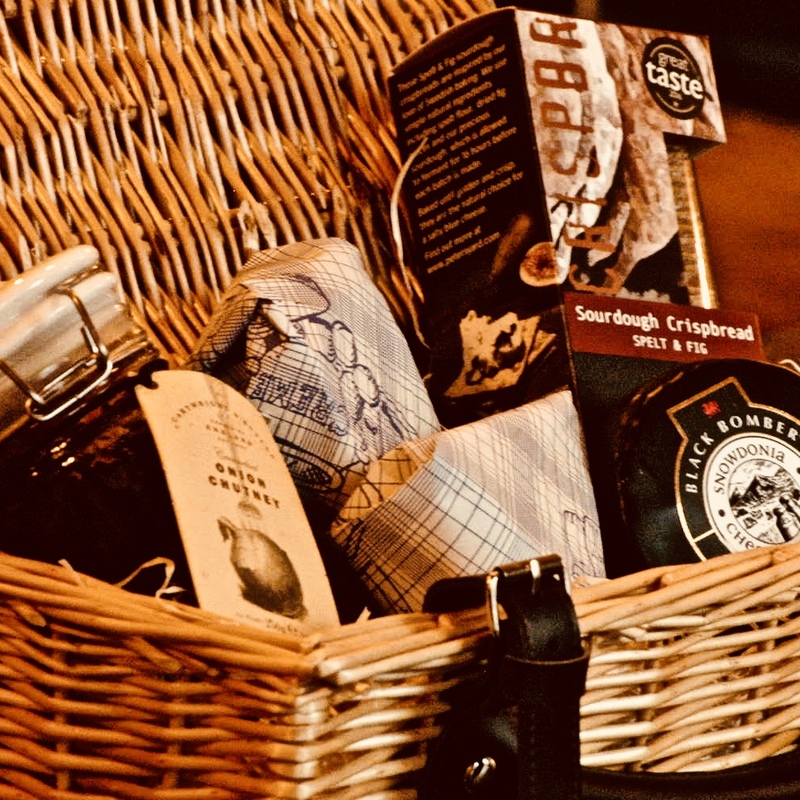 At Anderson & Hill, they will make a bespoke hamper using the very best products including cured meats, finest cheeses, authentic Italian pasta, expertly curated condiments and in-house roasted coffee. Shop this cheese and chutney hamper (£29.95) in store at Great Western Arcade. It isn’t Christmas without gifting a festive tin of biscuits. 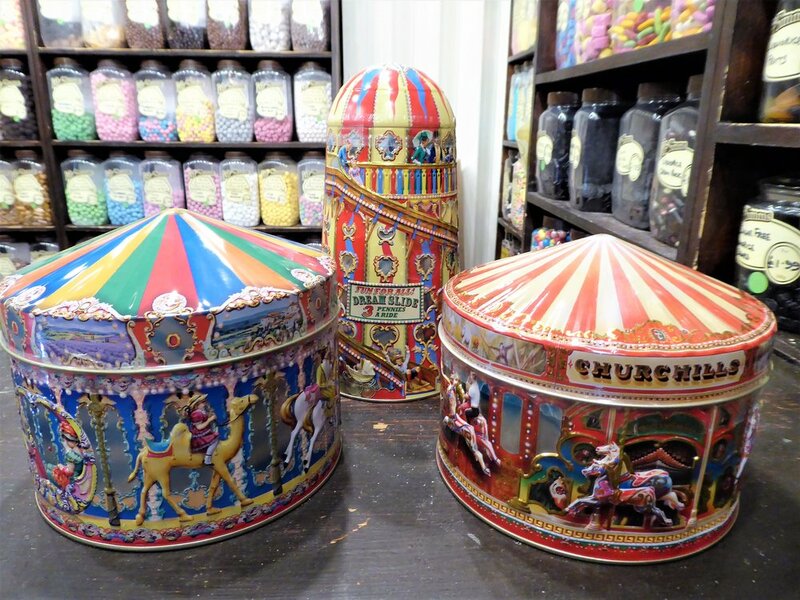 These Churchills fairground ride tins filled with vanilla fudge and English toffee will certainly bring nostalgia and smiles to those who loved these rides. All tins are £9.99 and available at Mr Simms Olde Sweet Shoppe in Great Western Arcade. Got a G&T lover in your life? 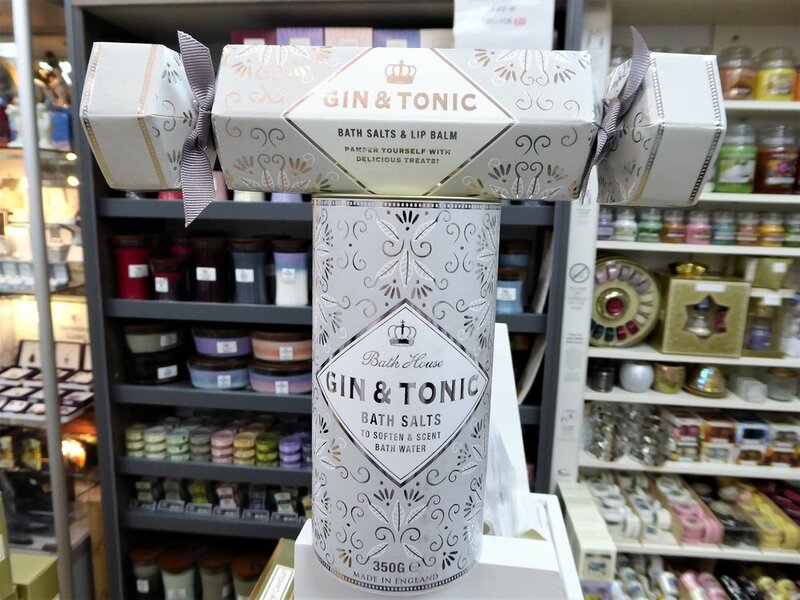 Pamper them with these refreshing gin & tonic bath salts and lip balm for the ultimate G&T experience. Shop these in store at Bentley’s in Great Western Arcade. Invest in a staple accessory for your friend, mum or sister with a BKLYN fur bobble hat (£79), made from the finest Italian merino wool. It’s sure to keep them warm and stylish this winter. Shop this at Peter Forson in Great Western Arcade. 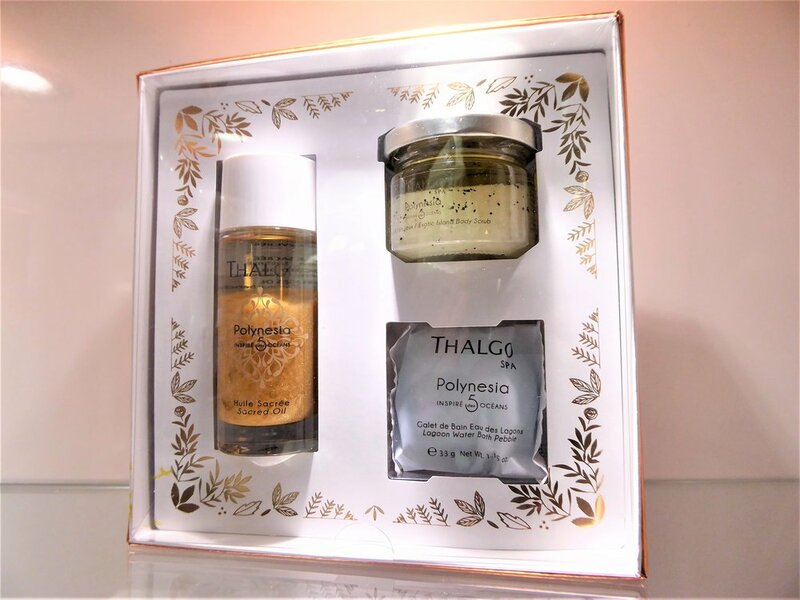 Gift the at-home spa experience with this luxurious Thalgo Spa Polynesia Discovery gift set which includes Polynesia Sacred Oil, Exotic Island Body Scrub and the Lagoon Water Bath Pebble. Worth £42.76 but retails at £30. Shop this at At One Day Spa in Great Western Arcade. 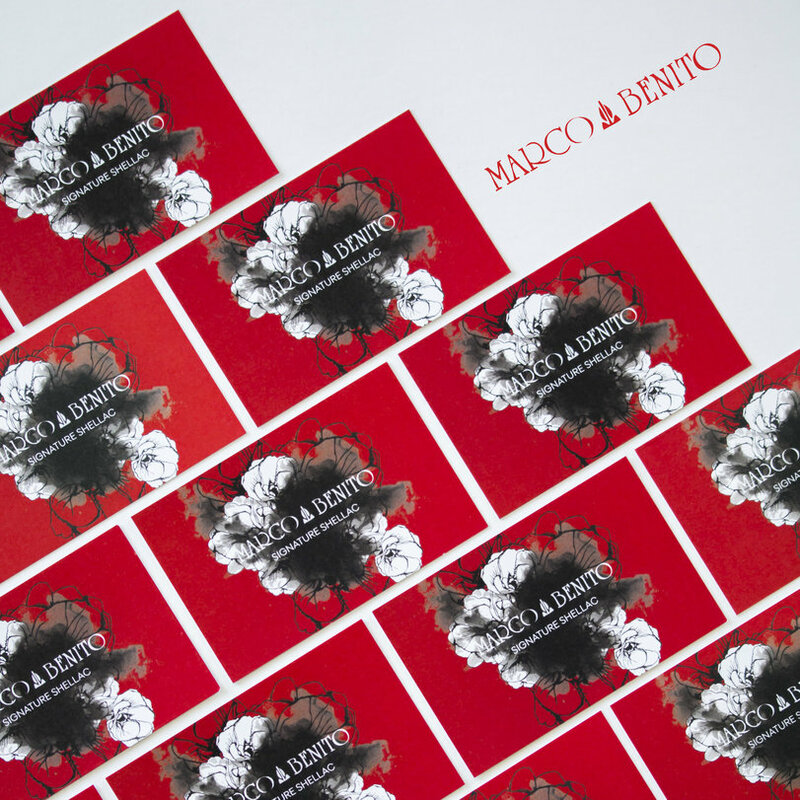 Spoil someone special with a signature shellac gift voucher from Marco Benito because who doesn’t enjoy having fresh nails? Purchase this for £30 in the salon at Piccadilly Arcade.